So here are a few ideas that will help give you energy and avoid fatigue without raising insulin levels and setting you on the path of endless snacking. All of these ideas contain good amounts of protein, fibre and beneficial fats and where there is carb these are a source of natural rather than refined sugars. A small handful of whole oats or buckwheat flakes (25g max) that have been soaked overnight in water, dairy or alternative milk. After cooking, add a tablespoon of mixed seeds (pumpkin, sunflower, chia and flax) that have either been crushed or soaked overnight in water and then drained. (You could choose a milled version such as Linwoods available in all supermarkets). Serve with plain, bio full fat yoghurt and a few berries (either fresh or frozen). You could also add some toasted coconut flakes. Alternatively you can eat this raw which is more like a ‘bircher’ type muesli. This is especially good if you soak the oats in either natural yogurt or milk kefir- a fermented milk drink that is packed full of good bacteria. Fruit salad made with stewed rhubarb or plums (try not to add too much sugar – you can use the juice of an orange or add a teaspoon of good quality honey or maple syrup. Also nice to stew the fruit with a cinnamon stick and/or a star anise. a tablespoon of mixed seeds (pumpkin, sunflower, chia and flax) that have either been crushed or soaked overnight in water and then drained (or Linwoods). 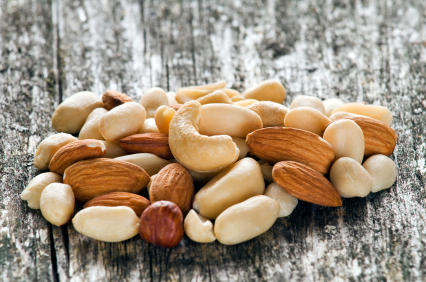 You may also add up to 6 nuts that have been soaked (like the seeds) or chopped up.